New technology has enhanced the way applications are run on computers. People can access and use their customized applications from anywhere in the world and can also share their work with the help of great social integration features. That is why web based applications are becoming more popular day by day. Today, we present you some web apps which are both useful and interesting. And best of all, most of them are available for free. We have them listed for you in alphabetical order and haven’t assigned them any ranks. BranchOut: BranchOut is the place to build up your professional network and is based on the Facebook platform. With BranchOut, you can connect with professionals around the world and reach out for dream jobs using your own social connections. It helps you build a professional profile and lets you search from more than 3 million jobs. It also helps you to connect with the professional networks of your friends. It is a powerful platform that socializes your career and opens up new opportunities for you. Encryptur: Encryptur is an online file encrypter and decrypter that can encrypt files using a password. The encrypted files are returned to the user which can be decrypted later by using the same password. The password data is stored in the encrypted file itself so the file uploaded for encryption/decryption is not stored in the server. The temporary copy created for encryption/decryption is deleted soon after the process is complete. FreeOCR: This is a free Optical Character Recognition (OCR) tool used to identify and extract simple text in various languages. Being a free program, it imposes some limitations such as file size less than 2MB, not more than 5000 pixels wide, and a limit of 10 image uploads in an hour. FreeOCR is a great tool supporting multi column text and is quite good in recognizing standard text within images. 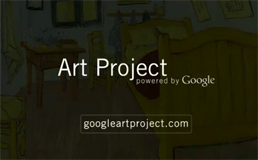 The Google Art Project: The Google Art Project lets you experience a virtual tour of the best art galleries worldwide right from your Desktop and discover some of the world’s greatest artworks online. Google’s collaboration with some of the most acclaimed art museums enables art lovers to discover and view thousands of popular artworks in great detail. You can virtually move around the galleries looking at artworks that interest you, navigate through floor plans, and learn more about the museums. You can also save views of your favorite artworks and create your own personal collection. IDEOne: IDEOne is an online compiler and debugger which can compile and even execute programs. It supports a number of programming languages (more than 40 according to the website) like C, C++, Java, PHP, Perl, Pascal, Python, etc. It features a Syntax Highlighter which adds a few tools for debugging and the display of line numbers to quickly locate errors. Instagram: Instagram is a photo sharing application with a twist. It allows you to take a photo, apply a cool filter to it, and then share it on Facebook, Twitter and Tumbler. Instagram is a free application available for iPhone, iPad, or any other iOS devices and is distributed on the Apple App Store. The filters apply extraordinary effects to your images and transform them into something entirely different. Just install Instagram on your iOS device and take your photographic skills to the next level. Spotify on Facebook: We have already covered an article on the music discovery service Spotify. Here we talk about the Spotify web application, which is integrated within Facebook. The Spotify web app on Facebook notifies your friends what you are listening to on the ticker feed. It also makes it possible to play the songs your friends have listened to, directly from Facebook. Another great feature is the “Listen With” button on Facebook Chat. It shows currently played songs by your friends in the chat window itself, and lets you listen to the same song with the click of a button. 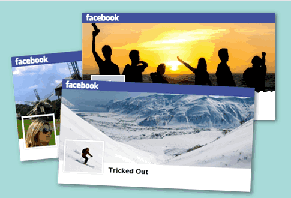 Tricked Out Timeline: This is an application that generates cool profile picture-profile cover combinations for your Facebook timeline. Just choose a Facebook cover effect of your choice, upload an image on which to apply the effect and get your Facebook cover modified in 3 simple steps. Currently, the available list of effects includes “Merge Profile and Cover Photo”, “Missing Jigsaw Piece”, “Tear Off The Bottom Edge” and “Profile Picture Zoom”. All of these applications offer good features to suit your various needs. Whether you are an artist, a photographer or a music lover, this list has got everything for you. Feel free to try them out!